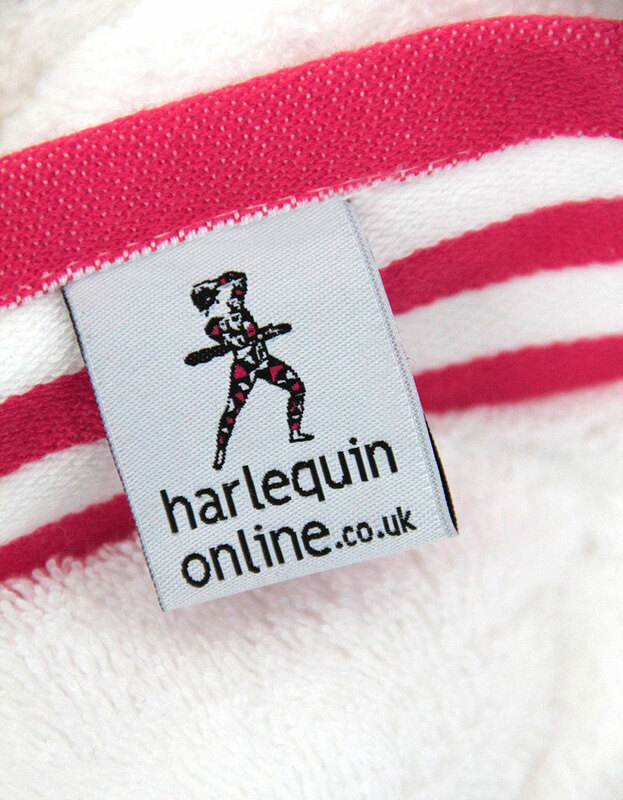 Our 100% Cotton towels in pink and navy together in one package. One set for Mum and one set for Dad. 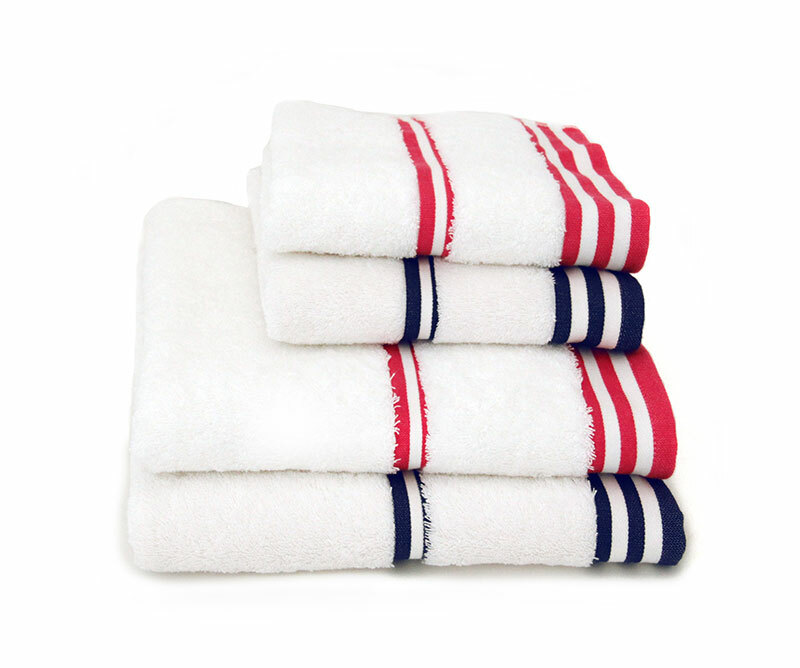 Our towels are hand made exclusively for us in Turkey; guaranteeing the finest Turkish cotton. 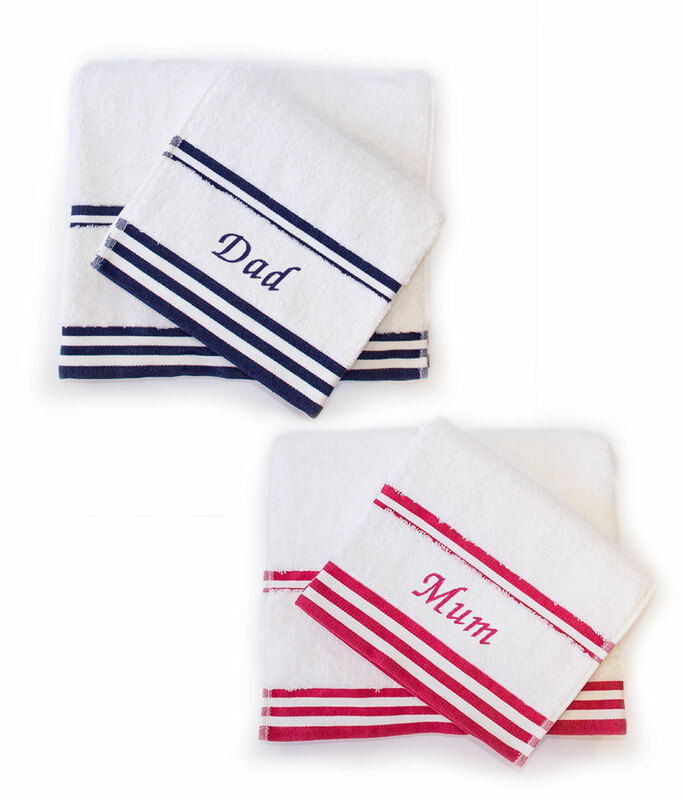 These really do make the perfect gift for Mum & Dad or for you and your partner. 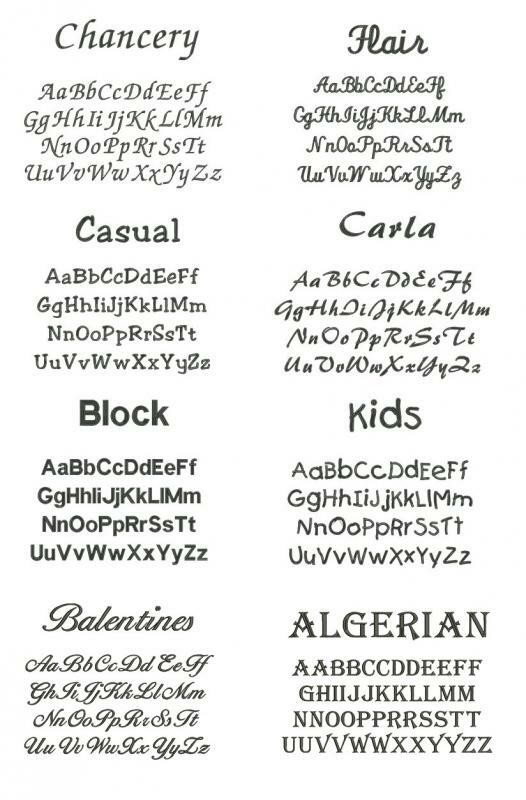 Text 'Mum & Dad' will be embroidered in matching pink and navy blue as in images above, onto both the Hand and Bath towel.